While there shouldn't be an embarrassingly bad team in the West this year, age and offseason personnel movement may have left the East as the stronger conference, which would result in an even more dominating showing by a now ridiculously talented Golden State team. Still, improving young teams moving up and traditional powers that could fall mean that, beyond the Warriors, almost anything could happen out west. Kevin Durant wants to be like - Toni? Adding a top 5 player to a team that is one year removed from a title and won an NBA record 73 regular season games a year ago is fascinating on several fronts, not the least of which will be Kevin Durant's role on the team; as good as he is, it will be hard to view him as essential to the Warrior's success. 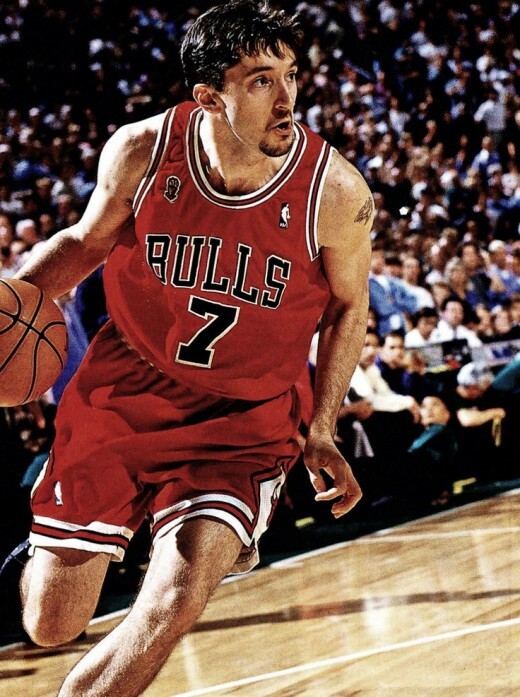 Durant is basically set to fill the role of Toni Kukoc on the Bulls second threepeat: he's a nice additional offensive weapon as a long, lanky shooter, but the team has already proven it can win without him. His signing, along with the departure of three of their four centers, means that the team is buying in even more completely to their small ball lineups. 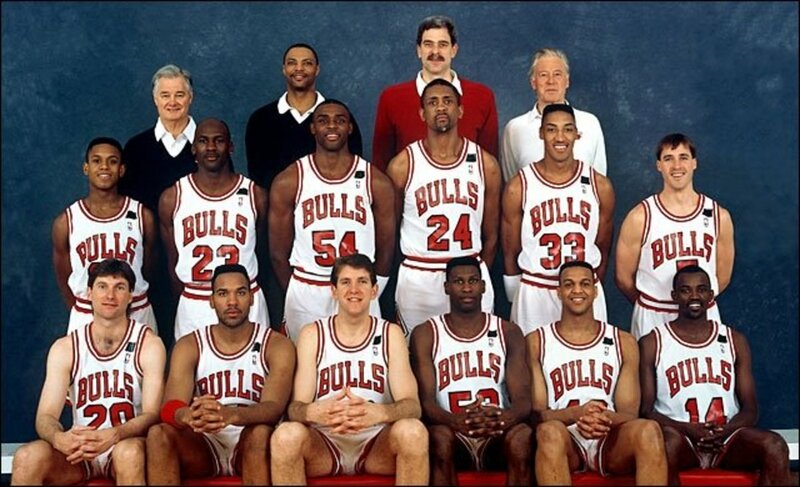 While those lineups were solved to a certain extent during the Finals, it is hard to imagine anyone being able to score with this group. Steve Kerr will have two respectable new options when he chooses to use a traditional big man, as Zaza Pachulia is coming off one of his best seasons and Damian Jones is a taller, more athletic version of a young Festus Ezeli in terms of a project with loads of potential. The Warriors may have also gotten a steal in second round pick Patrick McCaw, who was outstanding in summer league play, so the bench may not have actually taken much of a hit at all. 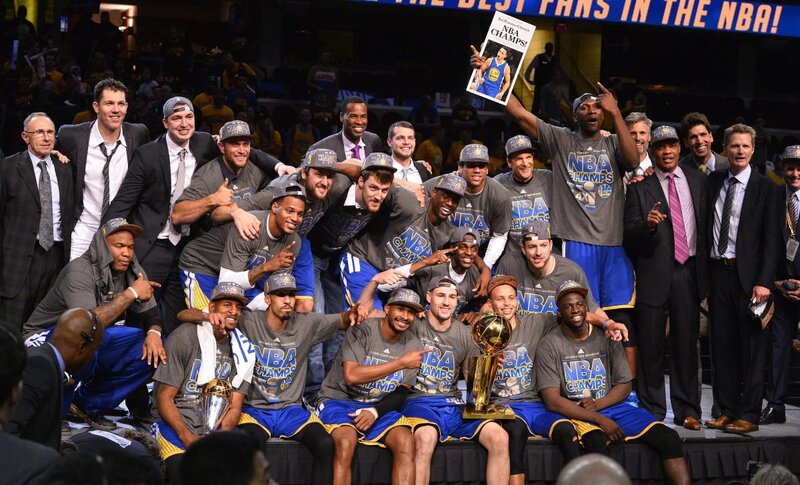 It will somehow be even harder to knock the Warriors off in a standalone regular season game, and seemingly impossible to beat them in a playoff series, so much so that they currently favored 2/3 to win the title – better than the odds for all other teams to win combined. The Warriors are about to be Goliath to everyone else's David, so they will definitely be getting everyone's best all season long. 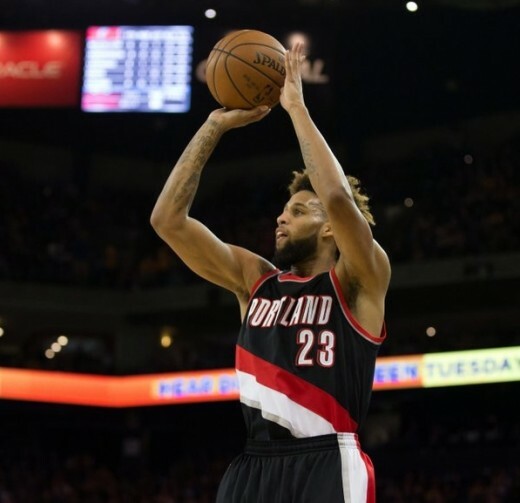 Allen Crabbe's a solid young player that's important to the Blazers, but as a bench player he benefited from the salary cap bump more than anyone. The Trailblazers made some questionable contract decisions during the offseason, but they were able to keep together an improving young core and add pieces that will make them better at both ends of the court. While Evan Turner isn't a great shooter, he does help the team more at the offensive end than Mo Harkless (who was inexplicably given $10.5 million a year anyway), while Festus Ezeli will allow the Blazers to stop bulky post scorers better than they did a season ago. Damian Lillard, C.J. McCullum, Allen Crabbe, and stretch 4's Al Forouq Aminu and Meyers Leonard will allow Portland to stretch the floor and score from the perimeter as well as anyone other than the Warriors, while inside Mason Plumlee came into his own in the playoffs as a rebounder and passer out of the post. Portland should be better, and because of some offseason changes to the rest of the Western Conference elite should emerge as the closest thing to an actual contender to the Warriors. Kawhi Leonard may have picked up a few things from Tim Duncan. 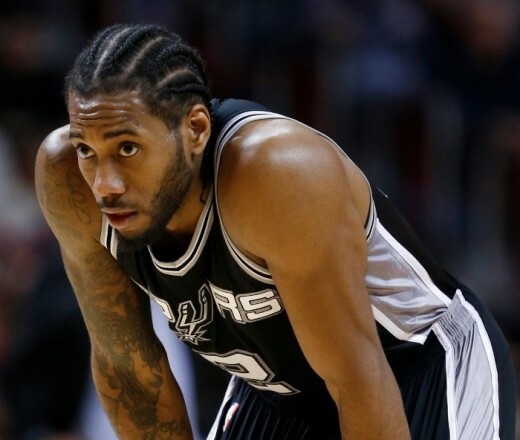 The addition of a still imposing Pau Gasol to LaMarcus Aldridge and legitimate MVP candidate Kawhi Leonard should briefly give the Spurs the best frontcourt in basketball. However, in what is now a guard dominated league, 34 year old Tony Parker suddenly seems very average, 3 and D shooting guard Danny Green dropped to 33.2% from 3 last year (although he did shoot 50.0% from deep in the playoffs), and 39 year old Manu Ginobili is a shadow of his former self after putting up just 12.6 points per 36 minutes in the playoffs (and of course he didn't play nearly that many minutes). After a strong showing in limited minutes last year and an impressive summer league performance there is the possibility that Jonathan Simmons is ready for a breakout season, but his offensive game doesn't appear to be as well rounded as Ginobili's. In addition, Kyle Anderson will have to provide what the Spurs lost with Boris Diaw's departure, but, while he has been dominant in summer league, there have been indications he won't be athletic enough to do those things in actual NBA games. The Spurs still have the best coach in the league in Greg Popovic, and the frontcourt is loaded, but their aging backcourt could temporarily make them vulnerable to younger teams, and they seem far from being a thread to the Warriors. Parsons could see the most scoring opportunities he's ever had in Memphis. The Grizzlies were one of several teams that made a confusing coaching change in the offseason. They were overachieving relative to their talent level to begin with, and that was compounded by being one of the most injury riddled teams in the league, yet Memphis still managed to make it into the playoffs (where they were doomed to failure without their two best players). Moving from Dave Joerger to first time coach David Fizdale is a risk, but this is a veteran team that knows how to play, so that shouldn't be too much of an issue. 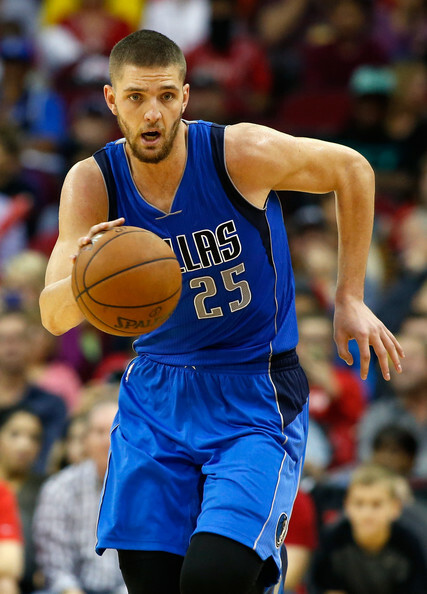 Chandler Parsons is a huge addition, and could immediately become the team's leading scorer. While Zach Randolph and to a lesser extent Marc Gasol are aging, Jamychal Green is being moved into the starting lineup to provide more energy while Randolph and a hopefully healthy Brandon Wright will be part of what should be an above average bench. Finally, James Ennis and perhaps Troy Daniels will combine with Parsons to give the Grizzlies more perimeter shooting than they have had in years. Coaching question aside, there is a lot to like about the Grizzlies' offseason, and they should move up in the West. 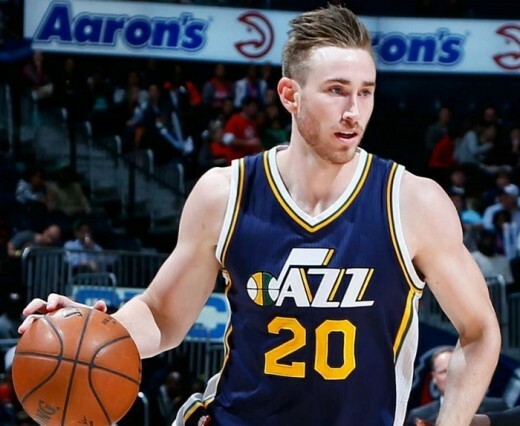 Gordon Hayward's passing ability becomes much more important with a combo guard running the point. The Jazz have been getting better inch by inch over the last few years as they've waited for a young roster to mature, and that patience may pay off this year thanks in part to the addition of some much needed veteran leadership to supplement their young talent. Although he's a combo guard, George Hill should provide the most dependable point guard play the Jazz have had in years; he'll combine with Rodney Hood to form a strong defensive backcourt that can shoot, and Gordon Hayward will complement the pair well with his passing ability. Joe Johnson is a still dangerous shooter that has developed into a solid stretch four, and both he and Boris Diaw will complement traditional big men Rudy Gobert and Derrick Favors perfectly. With Alec Burks and Trey Lyles in the mix as well, the bench is loaded, and, led by Gobert and their strong perimeter defenders, Quin Snyder's Jazz also happen to be one of the league's premiere defensive teams. There's a lot to like about Utah, and they should be ready compete with the better teams in the league. 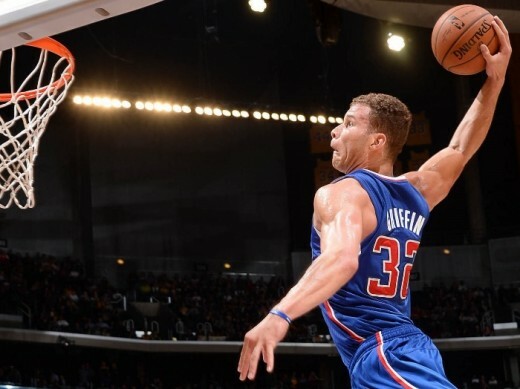 Blake Griffin is just 27 and could still be getting better. Doc Rivers is an excellent basketball coach, but perhaps he shouldn't be this team's general manager. Despite having an opportunity to significantly overhaul a questionable supporting cast, Rivers chose to essentially punt and stay with the same group that has left his big four to bear a ridiculously heavy burden for the team to have any success. Chris Paul is now 31 and J.J. Redick, who still somehow seems to be getting better, is 32 and is asked to sprint around the court constantly on offense; their load needs to be reduced at some point. Instead, 36 year old Jamal Crawford was given 14 million a year despite shooting just 34.0% from 3 as the team's best offensive weapon off the bench, while Austin Rivers, who is a very average player that the team likely wasn't competing with anyone to sign, was given nearly 12 million. The Clippers needed to surround the Chris Paul-Deandre Jordan pick and roll with shooters, but the only shooter Rivers added was Marreese Speights, who obviously can't play with Jordan. The team also needed a 3 and D small forward, but it appears a resigned Wesley Johnson or Luc Richard Mbah a Moute will be given the role. With the exception of adding first rounder Bryce Johnson, the only thing that the Clippers did in the offseason was watch their roster get older, and this isn't the type of young, still improving roster they can do that with anymore. The Clippers will still be in the playoffs because of their top 4 players and a watered down Western Conference, but their days of being a contender in the West appear over for now. 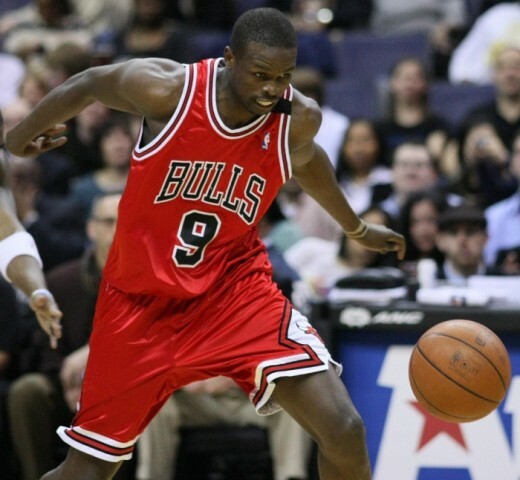 I was honestly shocked when he started knocking down 3's at a respectable rate as a rookie. Tom Thibideau is stepping into a prime situation in Minnesota with a team stocked with just the kind of players he values – the kind that defends. 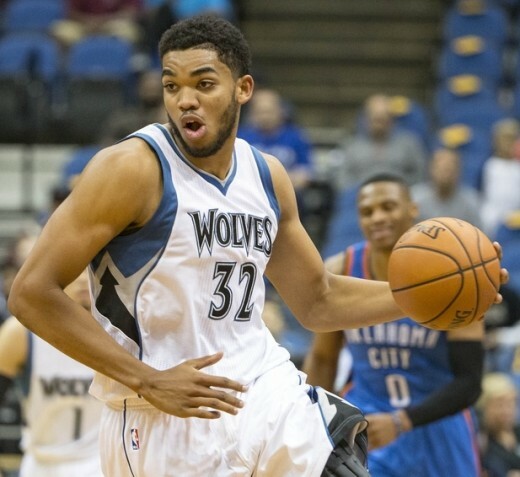 Karl-Anthony Towns walked through the door as an all star caliber player, and his ability to stretch the floor means that he can play with Gorgui Dieng; combined with Ricky Rubio, Zach Lavine, and Andrew Wiggins, the Timberwolves could have the best defensive starting lineup in the league under Thibideau. Offense will be the primary limiting factor, but with Lavine, Wiggins, and Towns still improving, and Tyus Jones and Kris Dunn giving indications in summer league that they will be able to help at that end, Minnesota should be able to score enough to give a still very young team their first taste of the playoffs. He's going to be good. Because of the Mavericks approach to teambuilding through free agency, Rick Carlisle has become accustomed to making the best of what appears to be a randomly assembled roster, and this year's addition of two new starters actually seems stable by comparison. The starting frontcourt will be a little plodding with Andrew Bogut and Dirk Nowitzki, but Dwight Powell and Quincy Acy will bring more athleticism off the bench, and Harrison Barnes has proved to be a more than adequate defender when asked to defend larger players in small lineups. 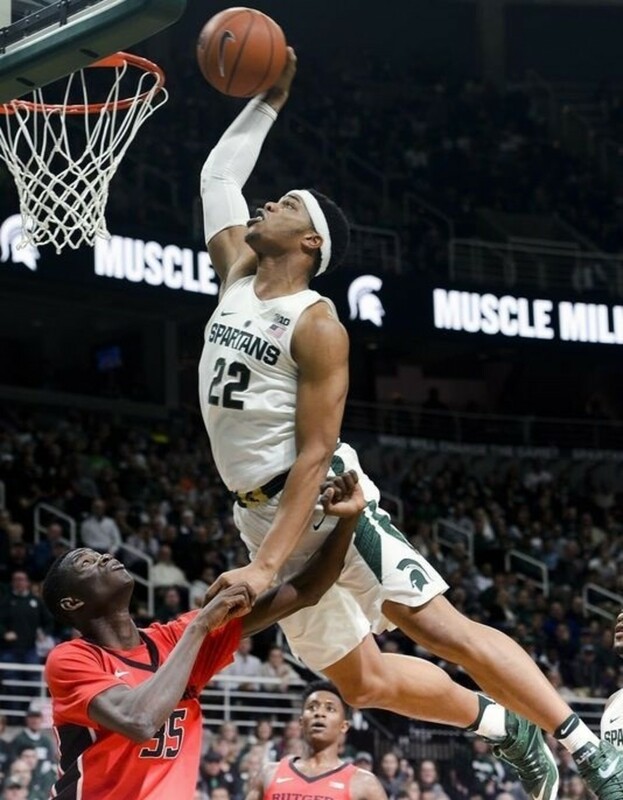 That could be particularly important because Justin Anderson appears ready for a breakout year as a 3 and D wing good for the occasional spectacular dunk. 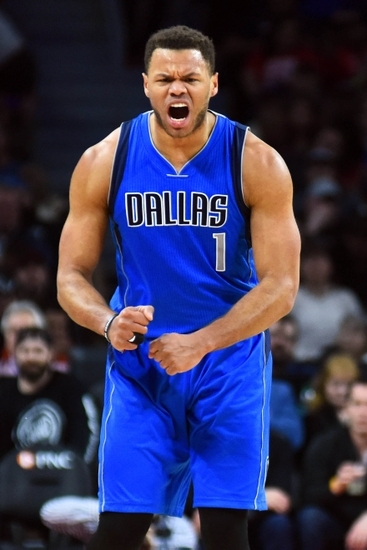 With the possibility that Barnes will blossom with more opportunities and Wesley Matthews will return to form a year after achilles surgery, Dallas should have a strong group of wing players that can make things happen at both ends of the floor. Point guard will again be largely by committee, but Carlisle does have four of them to choose from. The Mavericks whiffed again in free agency, but they were able to capitalize on Kevin Durant's move to the Warriors well enough that Carlisle should be able to keep them in the playoff picture. 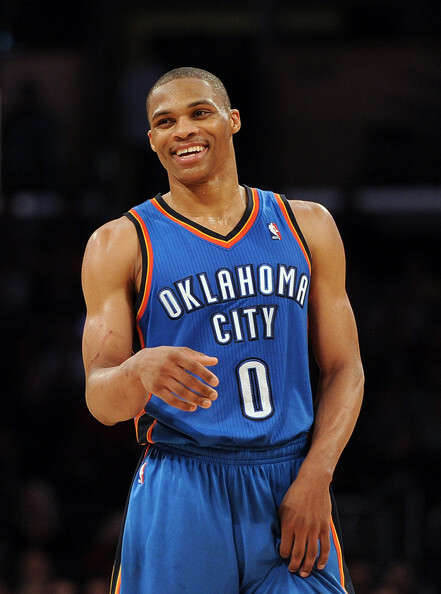 Westbrook may actually receive ovations before road games. 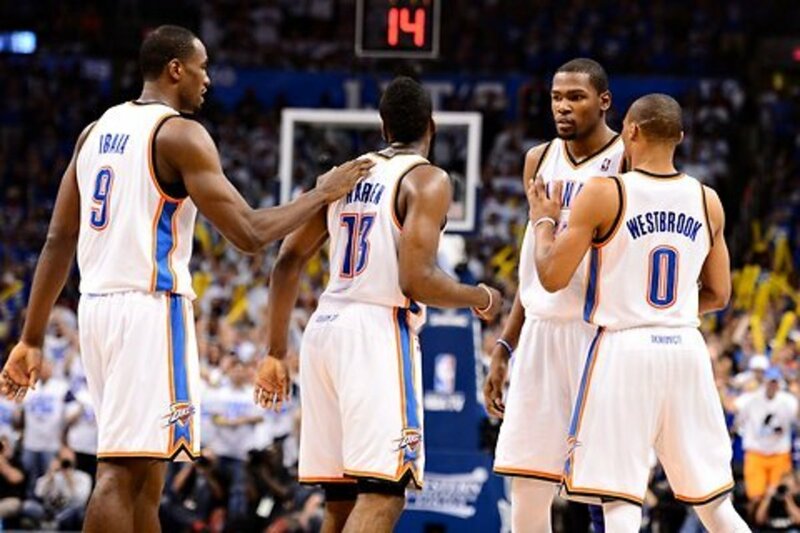 It will be virtually impossible for anyone to root against Russell Westbrook this year. Unfortunately, Kevin Durant's departure seemed to shock the Thunder's front office to the point that they stopped paying attention in free agency, and there were still pieces available that could have helped their recovery; still, there should be enough talent around Westbrook for the Thunder to at least contend for a playoff spot and give Westbrook his first MVP. They should still defend well with Victor Oladipo an improvement over Dion Waiters, although Irsan Ilyasova won't defend quite as well as Ibaka against traditional lineups or Durant against smaller lineups. Ilyasova will, however, be a better spot up shooter than Ibaka, and with Oladipo, Enes Kanter, Anthony Morrow, Kyle Singler, and possibly Alex Abrines the Thunder will still have plenty of those around for Westbrook's drives. Oladipo will also be able to help Westbrook facilitate offense, so Westbrook shouldn't have to feel like he has to do everything himself (although he probably will anyway). Billy Donavan is certainly about to face a very different challenge, but the Thunder shouldn't drop to the Western Conference basement. 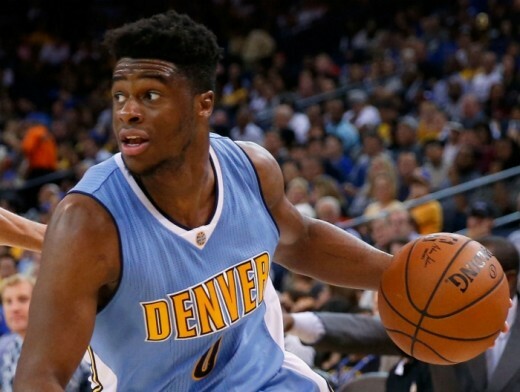 Mudiay should have a much better understanding of what's going on this year. Since reaching 57 wins in 2012-2013 and subsequently firing George Karl and dismantling the young roster that got them there, the Nuggets have spent the last few years making frequent, largely lateral moves, and it has gotten them nowhere until now. While they did just add three first round picks, Denver may have finally let a group stay around long enough to at least begin to develop into what they inexplicably broke up four years ago. Emmanuel Mudiay is still a work in progress, but he did average 16.5 points and shot 37.4% from 3 over the last two months of the season. Gary Harris and Nikola Jokic are also still in the rapidly improving stage, while Danillo Gallinari and Kenneth Faried are entering the prime of their careers. If Jameer Nelson and Wilson Chandler can stay healthy enough to provide veteran contributions from the bench, the Nuggets could push for a playoff spot, but even if that doesn't happen Denver should be able to see the light at the end of the tunnel and finish near .500 in the West. 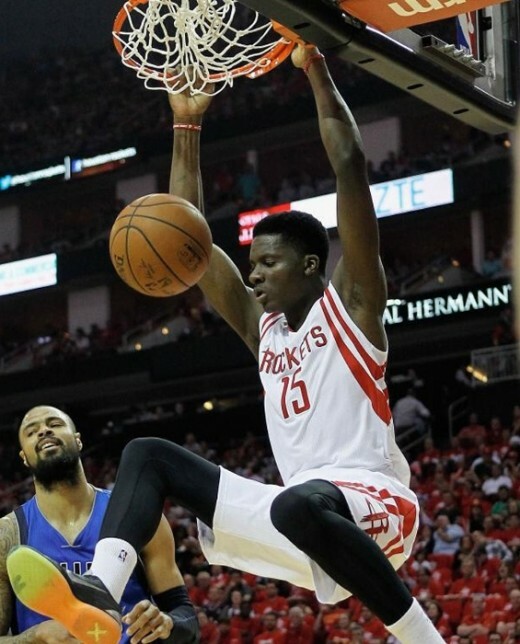 Clint Capela is about to emerge from what was at one point a very crowded frontcourt. All indications are that Clint Capela will be able to pick up for Dwight Howard defensively and on the boards (although he may get pushed off the block by bulkier centers), and Howard wasn't getting the ball that much at the offensive end anyway, so that change shouldn't make a huge difference for the Rockets. What likely will make a difference is that the Rockets took the Eric Gordon and Derek Anderson bait to surround James Harden with shooters; while that will help at the offensive end as long as Anderson's back holds up, with Mike D'Antoni taking over as coach the combination of Harden and Anderson at the defensive end will likely provide its own form of entertainment. The only real NBA success D'Antoni has had was when Steve Nash was making his offense look like magic, but Nash kept the ball moving and that simply isn't what Harden does. There is still plenty of talent in Houston without Howard, but this may not be the best marriage of coaching style and player, and the result could be a step back for the Rockets. Deng will be an excellent influence for the young Lakers, and he developed into a strong 4 against smaller lineups in Miami. The Lakers made several substantial improvements in the offseason, not the least of which should be the coaching change from Byron Scott, who was making some very interesting decisions with his young roster, to Luke Walton. The team also added some solid veteran leadership in Luol Deng, Jose Calderon, and Timofey Mozgov, and, frankly, is likely to benefit by not having Kobe Bryant shooting horribly (35.8% overall and 28.5% from 3) and generally not caring how poorly they were playing. The young core has a year under its belt playing together, and will add a fourth piece in the number 2 overall pick in Brandon Ingram, while Larry Nance Jr. gave indications in summer league that he has spent his offseason developing into a respectable stretch 4. This team should be substantially more competitive, and there's a very real possibility that they could surprise with 30 or more wins. Devin Booker seems to have come a long way very quickly. The Suns have put together a young roster not entirely unlike what they had when Jeff Hornacek took over and shocked everyone by almost making the playoffs in a then-loaded Western Conference. Whether they've hired that sort of coach again is anyone's guess, as Earl Watson had all of a year and a half of experience as an assistant before being handed the reigns and leading the team to a 9-24 record as an interim coach last year. What they definitely do have is an overabundance of talent at point guard, which would have fit perfectly into Hornacek's offense. Eric Bledsoe will still be the best of the group if he's healthy, but that's a big if at this point. Devin Booker is developing and learning a new position quickly, and was clearly the most dominant player in summer league, where Tyler Ulis impressed as well. The frontcourt is more of a question mark, with Tyson Chandler apparently on the downside of his career and no indication of how well Dragan Bender will be as a rookie. The Suns are young and were heavily beset with injuries a year ago, and Earl Watson is a huge unknown, so they could conceivably be much better, but it's hard to make that sort of projection at this point. 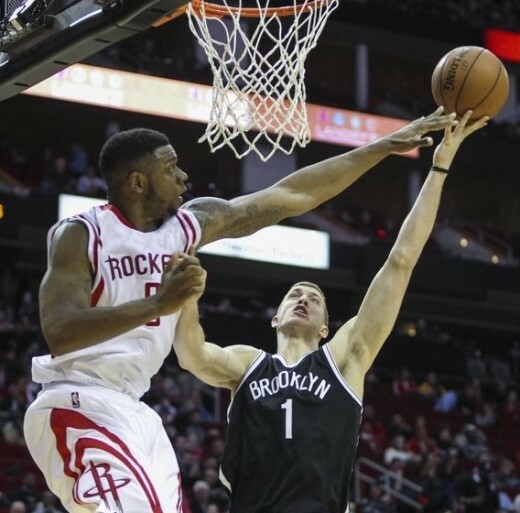 Terrence Jones is only 24 and could still help somebody win. The overall talent around Anthony Davis may have improved marginally in the offseason, but the Pelicans stand to have a major problem shooting the basketball. Anderson and Gordon were the team's primary weapons from beyond the arc, and it's debatable how well they were replaced. In his attempt to become the next Steph Curry, Buddy Hield did his best Dajuan Wagner impersonation in the summer league, which is likely what you should expect when you encourage someone to take shots like Steph Curry. Otherwise, Jrue Holliday may always need to be on a minutes restriction, but he played well and stayed healthy a year ago before facial surgery shortened his season, Tyreke Evans should return from knee surgery to help out eventually, and there is a chance that Terrence Jones could have a resurgent year playing with Davis at times, so Davis at the very least shouldn't feel as though he has no help. Still, it will be hard to succeed without better shooting, and Davis hanging around the 3 point line is not an optimal solution. It's possible that there's still only 1 big man that's good at his job in Sacramento. 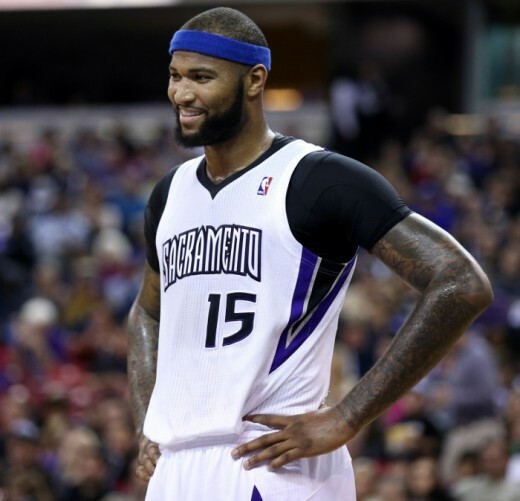 Demarcus Cousins is right to be incredulous about the Kings' offseason decisions; Vlade Divac doesn't appear to be very good at this. With Cousins and a still promising Willie Cauley-Stein already in the fold, Divac converted the number 8 pick in the draft into a 7-2 foreign project that no one else was going to touch until the second round and Skal Labissiere, who was far from imposing in his one year at Kentucky. This comes a year after the Kings gave Kosta Koufos a four year, $32 million deal, and was followed by giving Anthony Tolliver a two year, $16 million deal. Divac also made it clear that he isn't particularly high on Rudy Gay and would like to trade him away and then addressed the percieved problem by signing players that are a step down in Arron Afflalo and Matt Barnes. He has also allowed the point guard position to slide to solid backup but questionable starter Darren Collison, which is particularly important because the Kings shot the ball relatively well a year ago (10th in the league in 3pt.%) and Rondo's passing was an important reason for it. Divac was able to flip Marco Belinelli for more promising rookie Malachi Richardson, but overall the Kings roster is now left overloaded with overpaid, questionable frontcourt talent and includes a perimeter that lacks creators and that likely won't shoot the ball very well. Cousins has to hope the Divac experiment will end soon, but if not he only has two more years of Kings misery to suffer through.